I think this idea is the solution to all social and economic problems in West Africa, if not the world. People refuse to do the right thing, even when they are 100 percent sure what is needed to be done, they still compromise. For me to live in Africa I need to be gentil, a gentleman with unconditional love, then shamelessly ruthless without missing a beat. This requires a lot of fortitude, I drop the ball often, and I am not able to be ruthless like many friends who live abroad. A farm boy from Indians is a naturally naïve, and I refuse to become a city kid, there will be no compromises made. I am proud to be a Midwest farm boy in the brutal real world. I dream of explaining this concept with insightful and intuitive clarity. In a way, if I could explain this idea poignantly, simply, whereby all strata of people understood, I could change the world. That would be possible if the New York Times, TV5 Monde, CNN, BBC, and Al Jazeera all ruthlessly stole the article and churned it into mass appeal and forgot who wrote it. I pose this question to myself, as I get older, groups of older men ask me to sit and talk with them. I look around, everyone around me is bon vivants, over the age of 55, and often 65 and we sort of exclude those under 40. I look around and say, I am old, I am accepted into a club of old people, I still run from this, and refuse to be part of the group. “A rogue is a vagrant person who wanders from place to place. Like a drifter, a rogue is an independent person who rejects conventional rules of society in favor of following their own personal goals and values. Yep, Part 1 describes me to a T, and I am sure, many people believe I am also Part 2, because I am ruthless, I have little, if almost no shame, I revel and thrive in my shameless nature. What the world needs are benevolent and kind rogues, who are shameless in their decisions as power brokers. I am shameless, you cannot make me agree to fit in, I enjoy being uncontrollable by social clubs, an iconclast. James Bond types thrive in Africa, 007 has a license to kill for the good of all mankind, to save the world. We send in Delta Force to kill, for the good of the country, and never tell anyone who, why or where, without prejudice. Now, please do not put Africa into a separate social class category, the USA and Europe probable need ruthless, and shameless gentlemen more than Africa. However, in the over-developed world, you can exist, thrive, and be a complete milksop, you can wrap a scarf around your neck, grab your man purse, and all people will pretend you are up to snuff, and never express their truth thoughts, never be politically incorrect, and honesty is on hold permanently in the developed world. The compound house I am living in is a garden, and oasis of peace, quiet and respect, everyone who lives in the compound is gentle and nice. But, my room is about a minus 1 Stars, ground in dirt, I feel like I am living on Animal Farm. Well, enough was enough, I purchased scouring powder, Windex, bleach, found a brush, and a flat square shovel, and I removed the linoleum floor full of sand, ants, and fleas. I wanted help, so I asked a 19 year old girl who sweeps in front of the home at 6:00 am every morning to help. The owner says to pay her 1500 CFA to work for four hours. Well, like an idiot, I paid here 4000 CFA, and spoiled her. Now, I have scheduled to clean again on Thursday. American are considered spoilers of the planet, we pay too much, and inflate local prices, and spoil countries, and he is correct, I was an idiot, I know better, but hard to stop myself from being a good natured Indiana farm boy. Now, when we stripped the floor, cleaned, and really super cleaned the floor, I worked with her, I did the same amount at work as her, to me, I was a gentleman, never asking an underling to do, what I would not do myself, leading by example. Oops, she thinks, and believes I am weak, and stupid. I look away, and resumed talking, and dismissed her. Now, truly no good deed goes unpunished, in many ways the moral of the story, but what I believe is this. I just want my fricken room cleaned properly, in American quality, not some hack African way. 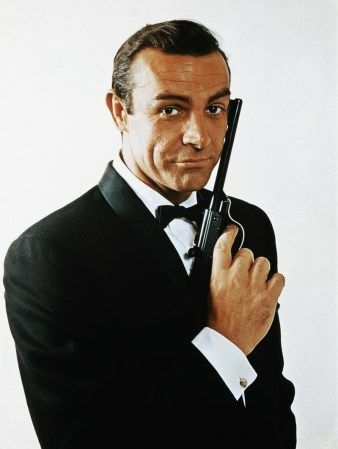 I enjoy doing the right thing as a gentleman, but will shamelessly and ruthlessly say no, and seize all friendship, or benevolent behavior in 2 seconds, and like 007, smile and shoot them, and erase the person from my life when they refuse. I do not punish, I not harm, I do not lecture, I erase, and go onto the next person. Herein lies the problem with all the volunteers, and people who work to save the planet, they are weak. They accept less than what they would accept in say the USA. They come here, and refuse to demand the locals do USA quality of work, and say something like, but they are poor. They do not treat Africans as equals. What you expect from people is what you get, no more, and no less, to truly be equal, you need to treat them as equals, it is their choice if they refuse to rise up, it is not my job to go down. Africa is a test of me, can I remain a gentleman, treat all people with kindness, say hello to all I meet, when nobody cares, and all the people around me think I am stupid. Yes, this is easy for me, and enjoyable, I revel in being cavalier, walking around in the neighborhood of Kodjoviakope, saying hello to people who think I am daft. I am shameless, ruthless, I enjoy being a gentleman, and it is my nature to be a good old boy from Indiana, Midwest USA value systems. I expect the Africa to rise up to meet me, I do not lower myself. I be rogue, I be a hobo, in the bon vivant city of Lome, Togo, West Africa. More or less in life, there is your way, my way, the highway and the right way, I expect the right way, or I give them the highway, too much fun. Life is a test; can we adapt, thrive, and stay light hearted in a brutal world? James Bond 007 a license to kill, to save the world. Gee Andy you have either learned a lesson or re-learned it. Whatever I also have learned that one of the most important things you can do before going to another country where you plan on staying for awhile (in and out doesn't count so much) is what is the basic culture? Are women equal, are men macho even if they are children and puny, are mother or fathers in charge, who follows who, what are the basic tipping rules, are the police in charge and honest or easy to get along with when you help them out a little, can you take photos without worrying if it's OK or not, in China you basically can except for any official building and military, etc, etc. It's not to hard to find out by doing some pre travel homework, today mostly on line. I learned some of these thing the hard way when younger. Yet even older I learned about not taking photos of official, political, military, police buildings, when I did so and out of no where a military guard came up to me and asked for my camera and then went thru my photos and started to delete. Of course I protested a little and was told the rules and if I wanted to make a formal complaint one of his superiors would be happy to have me visit them in their office inside the gates of the military compound. OK, I did not complain, I was thankful just to get my bloody expensive camera back. So we are never to old to learn a lesson and some rules and culture. No big deal as it became another small story to relate to others. I hadn't seen this situation from your clarity and objective point of view before. Thanks!